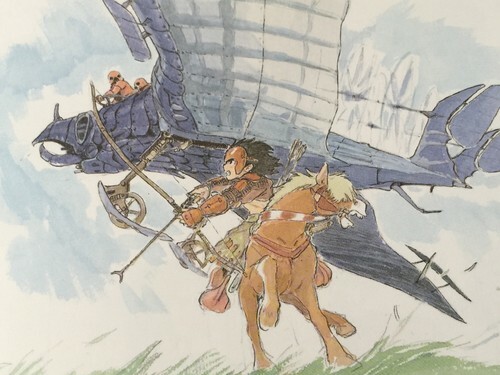 Hayao Miyazaki - The Art of Nausicaä Of The Valley Of The Wind - Watercolor Impressions. Nausicaä of the Valley of the Wind. HD Wallpaper and background images in the Studio Ghibli club tagged: photo nausicaä of the valley of the wind nausicaä asbel lord yupa kushana hayao miyazaki studio ghibli 1984 animated film. This Studio Ghibli photo might contain anime, grappig boek, manga, cartoon, and stripboek. HOW CAN u RESIST THIS FUZZY LITTLE FACE?!? !